Auditions for the fourth edition of Big Brother Naija began today February 1 and going by the pictures and comments on social media, this year’s auditions have recorded possibly the highest population in the history of the series. This spike could be attributed to the increase in audition venues from six to eight. They include: Abuja, Benin, Calabar, Enugu, Lagos, Ibadan, Port Harcourt, and Warri. 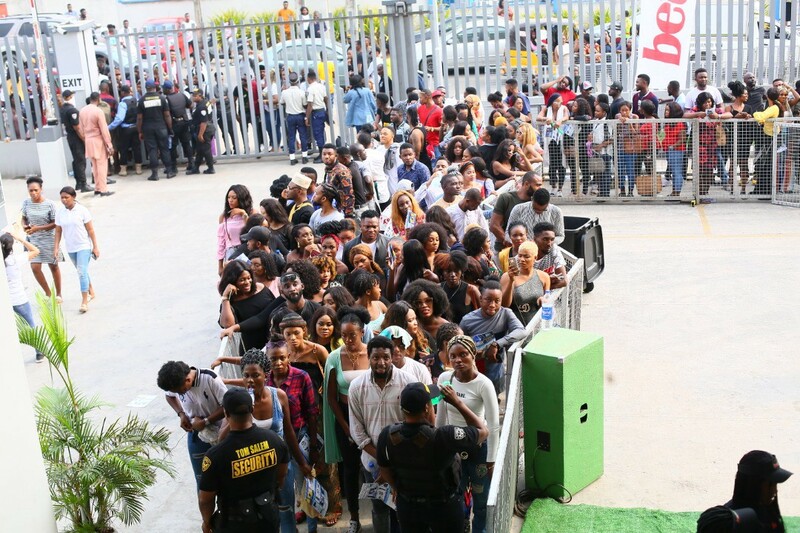 As expected, the Lagos venue has been adjudged to have hosted the largest crowd with an estimated 6,000 BBNaija hopefuls on day one of the auditions and a total of 13,000 participants across the 8 cities. Many have compared the audition crowd to typical carnivals and other religious concerts. It was clear that the organizers, MultiChoice Nigeria, anticipated the turnout and prepared adequately for it as there were private security men, police officers and LASTMA officials, who were on ground to coordinate vehicular traffic. Medical personnel were also present to manage any issues that may arise. Irrespective of the teeming crowd and seeming logistical challenges, MultiChoice has been able to manage the situation effectively. To however ensure optimum safety, contestants have been implored to be orderly and follow on-ground instructions. The auditions will continue tomorrow February 2, at the same locations across Nigeria.